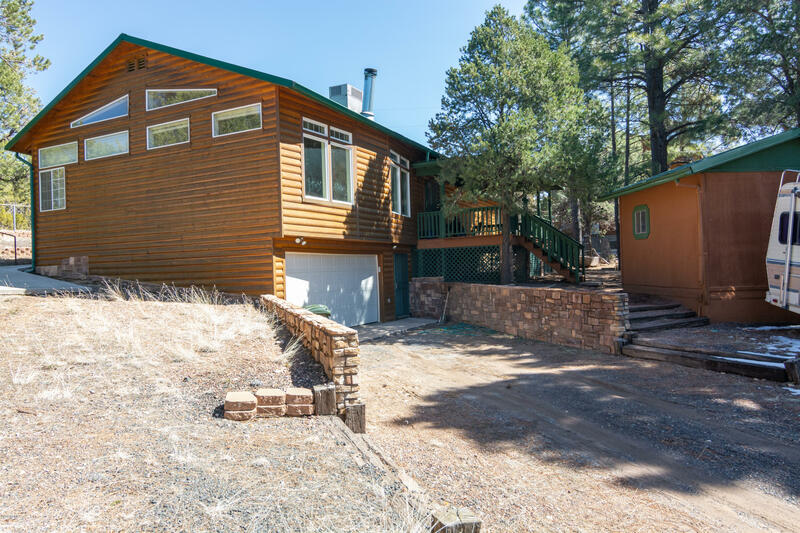 **** Pre-Forclosure *** Remodeled in 2015, 3BR/2.5BA (1825sf) log sided cabin on a .41-AC pine covered lot. Spacious living room w/FP, wood & tile flooring, skylights, vaulted ceilings & dual pane windows. Covered deck plus patio, gutters, metal roof, 2-car attached garage & utility shed for storage or workshop with Bathroom facilities. Nicely landscaped parcel located on cul-de-sac with paved roads.